Russia's main airline Aeroflot will buy long-range planes from both Airbus and Boeing, in a $6 billion deal. 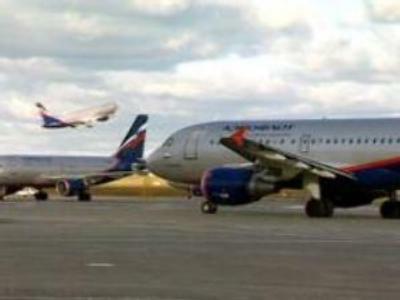 Speaking at the Fourth Baikal Economic Forum in the Siberian city of Irkutsk, Aeroflot Chief Executive Valery Okulov said it would split the order, buying 22 planes from each manufacturer. Aeroflot plans to spread the deal over six years. The first Boeing 787 Dreamliners are due to be delivered in 2010, and the Airbus A-350s two years later. Under the agreement, Boeing will receive approximately $40 million within three days to secure the construction of the aircraft. The deal is not just about planes but about which aircraft builders will exchange technical and commercial expertise with Russia's United Aircraft Corporation, intended to consolidate the industry. Russia recently bought a 5 per cent stake in the makers of Airbus, E.A.D.S. This latest, 6 billion dollar order, comes days before President Putin is due to meet the leaders of France and Germany in Paris. French newspaper Les Echos reported on Wednesday that Airbus is likely to announce further delays to the delivery of its A380 superjumbo.